Founded in 1998, growers from Atchison and surrounding counties provide fresh, locally produced vegetables and fruits at the market. There are also vendors selling locally raised meat and plenty of bakers and jelly and jam makers. • and, great fun for kids – “The Zucchini 500 Race” on September 8. 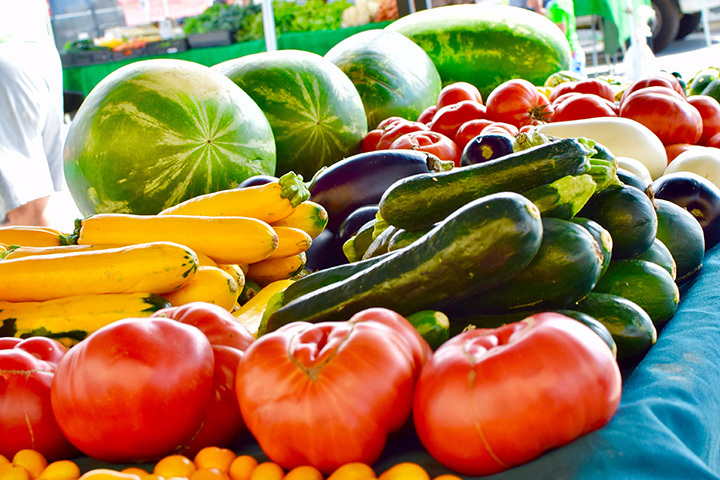 The market participates in the Kansas Senior Farmers Market Nutrition Program coupons. Credit and debit cards are welcome. Supplemental Nutrition Assistance Program (SNAP) card users are encouraged to use their cards to double their buying power under a grant called “Double-Up” program. The Market Manager has a card reader for all EBT transactions.